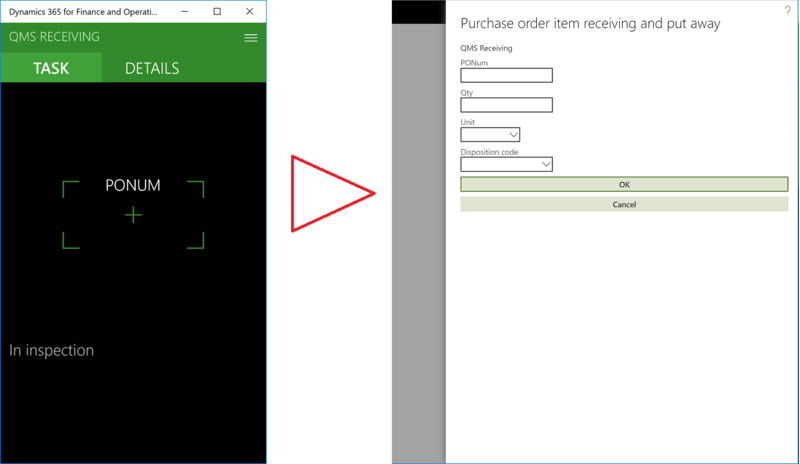 I realise the WHS Emulator form in D365FO may be widely known in our circles, but I’d like to recapitulate the options how to access the Warehouse management mobile device interface if you have no scanner on hand, or if the endpoint for the Dynamics 365 for Finance and Operations – Warehousing App has not been shared. N.B. I love the parental control for this app: PEGI 3; don’t let your toddler play with the forklift unattended. Hit the <Enter> key as you type in data to trigger events on the emulator screen and let the system populate dependent fields.